Best Time to See the Beauty and Uniqueness of Mount Bromo Crater. Mount Bromo Crater is one of the spots that can be visited while you have a trip to Mount Bromo. Mount Bromo is one of mountains in Indonesia that become an icon because of the amazing natural beauty. The mount is about 2329 meters of height. The natural volcano activities through the time makes Mount Bromo having awesome look. Additionally, the surrounding national park, blue sky, breathtaking sunrise view, etc. make the mountain increasingly looks naturally wonderful. Many tourists from all over the world come to see this mountain throughout the year; even the top is always blown off with white sulfurous smoke that is always spewing off the mountain crater. The Mount Bromo Crater that always spewing off the white smokes of sulfur is one of the indications that the mountain is still active. Even it is one of the most active volcanoes in the globe and some dangerous areas surround the mountain are closed from tourists. The Mount Bromo itself is situated in the middle of Tengger Caldera (a crater of volcano in about 10 km of diameter). Besides, the mountain is also surrounded by the Sea of Sands (Laut Pasir in Bahasa Indonesia), which is the volcano sands. The natural beauty of the volcano and the crater have been amazed by most travelers who visit it. 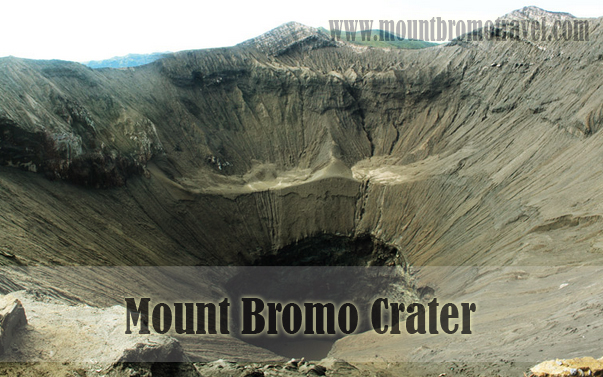 The breathtaking crater of Mount Bromo keeps a myth that makes many travelers get interested to visit it. The myth comes in the society of Tengger people. They believe that the crater is the place where a prince sacrificed himself for the living of his family. Following the myth and their belief, the local people continue their culture’s traditions for sacrificing to the crater. To honor the Gods in the crater, every year they hold a cultural ceremony named Kasada (or Kasodo). In the festival ceremony, they throw money and foods as to change a living body sacrificing. If you are going to have Bromo tour, it is better to choose every interesting tour surround the mountain, including to the crater of Bromo. Because Kasada Festival is the most interesting attraction, then you need to have the tour in the right time. August is the month when the festival is commonly held by the local people. Because of the tropical and mild climate of Indonesia, actually you can visit Mount Bromo anytime. However, June – August is the best time to enjoy the clearest weather that brings perfect sunrise view. You can see the wonderful sunrise view on the clear sky as well as seeing the Kasada festival on the Mount Bromo crater.